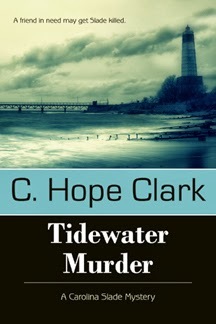 Lyrical Pens welcomes C. Hope Clark to our site today. A household name among writers, Hope has helped writers find routes to writing, editing, and publication through her Funds for Writers newsletter, a site I've followed for over ten years. 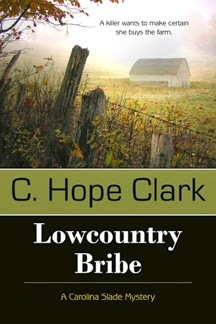 Author of the popular Carolina Slade Mystery Series, Hope is a very busy woman. Attuned to the changes in our industry, she shares her expertise on writing for magazines. Welcome Hope! I’ve watched the writing world do such an about face in the last decade. Once writers used to be pleased writing for magazines, making a decent living at it, too. Today’s writer prefers to sell a book. Self-publishing has tossed open the barn doors, and a herd of horses (writers) has escaped the confines to run into the world, with dreams of publishing books, dancing across the fields with all that freedom and opportunity. But if you always notice, a horse or two sticks around, realizing that the oats and hay are, um, still in the barn? If the barn doors are open, why can’t we go back and forth and do both? Frankly, my opinion is that every writer can, and should, write for magazines. Regardless of who you are, or what you write, stop and think about the pros of writing for periodicals. More people will read your one article in a single issue of a magazine in one weekend than will read your hard-fought book in a year. The odds are greater that a new author will make a better annual income writing a couple of articles a month than selling their book. This is especially true when you deduct the hours of investment from the gross proceeds. With a magazine article, you see yourself in print much faster than a book. That is, unless you throw a book together WAY too fast and then self-publish it. There’s something rewarding about a byline, and seeing one every month (along with a check to go with it), sure gives you that sense of instant gratification that keeps your engine revved. Advertisers say that the public needs to see a brand, name or title repeatedly for it to stick in a person’s brain and draw interest. That’s why you can hum commercials, or recite an actor’s one-minute performance without missing a word. If you repeatedly appear in print, people soon remember you. If you appear once a year as the author of a book, the chances are quite minute that you’ll be recalled from the millions that populate Amazon. The more people see you write, the more they appreciate you as a writer. If you write, say, about horses, then the more people see your name in a byline about horses, the more they consider you an expert on the subject. If your bio says you wrote one book, people wonder what else you’ve done, because trust me, the average person has no clue how long it takes to write a book. They can be just as awed by your fourteen magazine appearances as they can from your book. Of course you can write both magazine features and your beloved books. There isn’t a writer alive who enjoys just sitting down to write on that one novel each and every day without some sort of diversity thrown in. That’s how people fall prey to Facebook, Words with Friends, and Solitaire. Best of all, that credibility and name recognition you acquire from magazines may help you sell books. That diligence poured into a dozen magazine articles may convince an agent or publisher that you are serious about this writing business, and know how to spread your name. Why not write shorter works in between your long chapters? Better yet, why not write pieces that pay? And if you say you don’t have time to write magazine articles, then how in the world do you think you’ll have time to write a book? Just saying . . . It’s a win-win success. C. Hope Clark is editor of FundsforWriters.com, chosen by Writer’s Digest Magazine for its 101 Best Websites for Writers for the past 13 years. Her Friday newsletters go out to 45,000 readers. She is also author of The Carolina Slade Mystery Series. 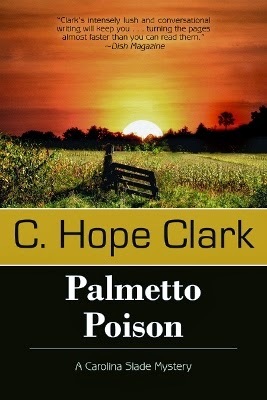 The third in the series, Palmetto Poison, was just released to eager readers who’ve already enjoyed Lowcountry Bribe and Tidewater Murder. Dish Magazine’s review stated: Hope’s intensely lush and conversational writing will keep you turning the page almost faster than you can read them. See more of Hope’s work at www.fundsforwriters.com and www.chopeclark.com . Read and Enjoy Hope Clark's wonderful new characters in these tension filled books. I preach writing for magazines to every writer I see! Just saying...it's brand building plus you get paid. Thanks for posting this today! Thanks Hope for a great article, as always. If anything, you just keep getting better. I just keep at it, Mary Ellen. I agree. Each Friday I look forward to my Funds for Writers, to search for new possibilities. I mix working on my 'Great American Novel' with periodical queries for an income stream. As my Grandma would say, "Don't put all your eggs in one basket." Thanks, y'all. But any writer these days that keeps at it daily is inspirational if you think about it. So glad to help!